Fourty-seven million kilos of 'Mozzarella di Bufala Campana DOP' – buffalo mozzarella for short – were produced in Italy in 2017. In order to meet the great demand for luxury cheese, many Italian farmers rely on efficiency instead of animal welfare, resulting in a high number of cow pregnancies and 'surplus' calves. 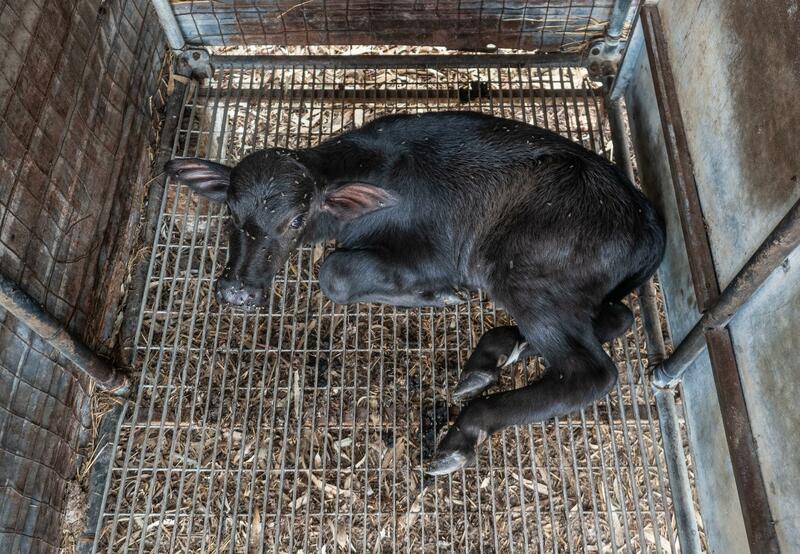 Research carried out in August 2018 by international animal welfare organisation FOUR PAWS, journalists and the Wildlight team, uncovered the shocking reality of how male buffalo calves suffer. Considered a worthless by-product on mozzarella farms, the young animals are often deliberately neglected. If they do not die as a result of poor breeding conditions, they are slaughtered on average 30 days after birth. FOUR PAWS calls on supermarket chains, traders and producers to take responsibility. Filthy stables, injured buffaloes and dead calves: the pictures taken in August 2018 on twelve buffalo farms in Campania, southern Italy, reveal the unglamorous truth behind this popular luxury product. 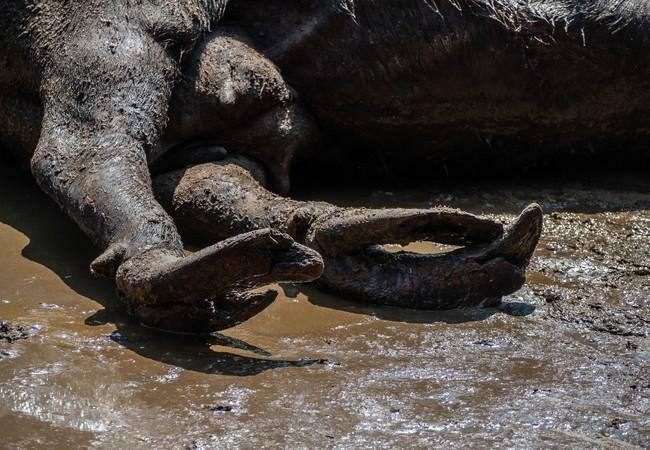 “The photographs show calves that have apparently been lying dead on the ground for a long time – in plain view of the other buffaloes. Other live calves were so emaciated that they could hardly stand upright. The calves are kept in far too small, cage-like enclosures, without contact with other animals and reasonable care,” reported FOUR PAWS livestock expert Hanna Zedlacher. The lack of basic animal welfare mainly affects young male animals as they are considered ‘dispensable’ for mozzarella production and therefore a useless by-product. 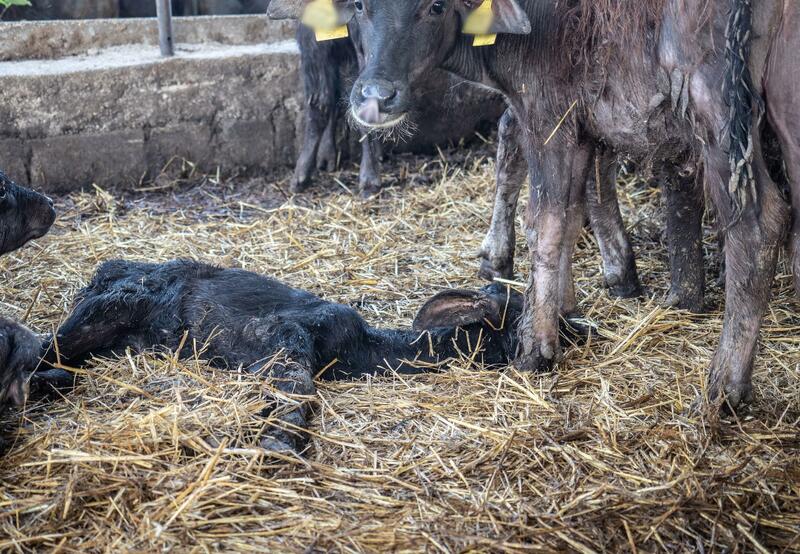 “Around 30 days after birth, the calves are old enough to be transported to the slaughterhouse. 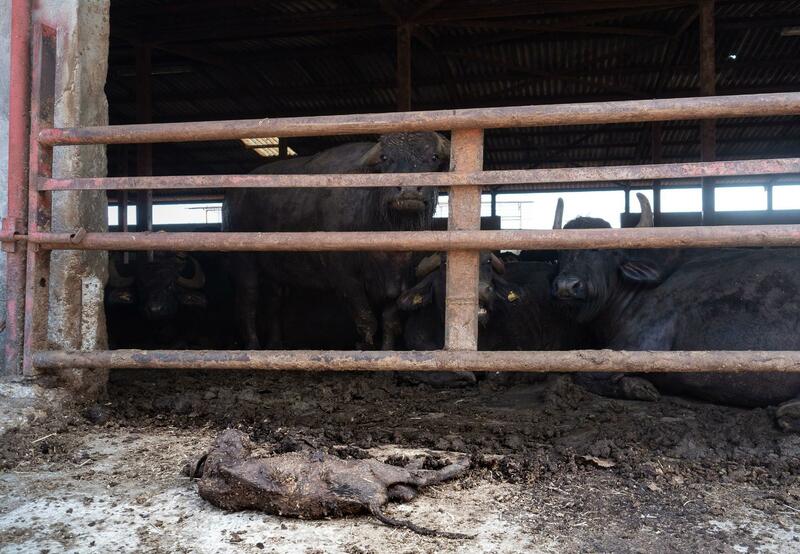 In 2017 alone, over 52,000 buffalo calves were legally killed in Italy. The meat is usually processed into dog food,” says Zedlacher. The FOUR PAWS investigation showed that adult females also suffer from the miserable keeping conditions. In order to meet increased demand, many Italian buffalo farmers rely on factory farming. This means little to no green space for the animals. Water basins or pits for cooling down are rarely available. The stables and animals are dirty. Many buffaloes suffer from overgrown hooves, swelling and untreated injuries. 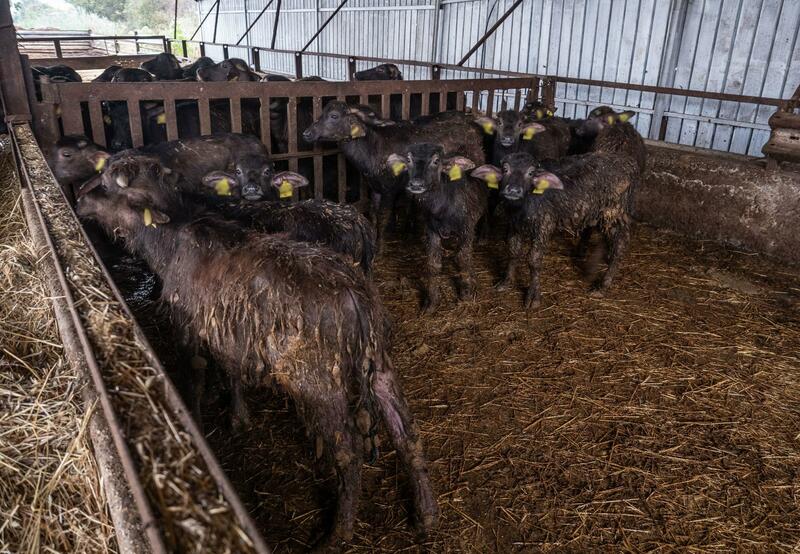 As early as summer 2014, FOUR PAWS drew attention to the poor conditions in which buffaloes are being kept in Italy. 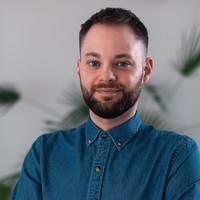 However, even four years later, the demands made at that time have still not been universally met – though there have been legal improvements in traceability. FOUR PAWS believes that responsibility for this major animal welfare issue lies with the producers, but also with supermarkets and distributors. Discussions with these stakeholders have already begun. Many supermarkets have taken measures and are demanding higher animal welfare standards from their suppliers. These standards, however, are not always guaranteed. “Only buffalo mozzarella from animal-friendly farms should be on offer. We demand regular controls, species-appropriate keeping conditions and medical care. We also expect humane solutions for male calves. The unnecessary killing of the animals must come to an end,” demands Zedlacher, adding: “Consumers should inform themselves thoroughly about the origin of buffalo mozzarella, and in case of doubt, refrain from buying it”. Seventy-four percent of the approximately 400,000 buffaloes living in Italy are bred in Campania. There are a total 2,212 buffalo farms nationwide. The vast majority – 77 percent – are sole milk producers, 14 percent are sole meat producers and only nine per cent use the animals for both milk and meat production. Buffalo mozzarella from Campania bears the DOP seal (Denominazione di Origine Protetta, protected designation of origin) and is one of central and southern Italy's prime exports. The main consumers of this luxury cheese are in France, Germany, Great Britain, the USA, Switzerland and Spain. The new shocking photos can be found here.